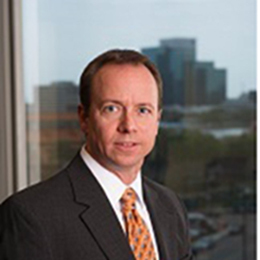 Jim Loftin joined Cantrell & Morgan, Inc. as a principal in July, 2011 and currently serves as Co-CEO of the company. He started his real estate career in 1995 as a commercial broker in Columbus, GA and has continuously been involved in commercial real estate ever since while specializing in the brokerage, development, leasing and acquisition of retail properties. Prior to joining Cantrell & Morgan, Jim was a Vice-President at Victory Real Estate Investments, LLC. from 1997 to 2011. Jim is a graduate of Columbus State University and holds both the ICSC’s Certified Retail Property Executive and Certified Leasing Specialist designations as well as the CCIM designation. Jim is a licensed broker in Florida, Georgia and Alabama.